The “Change Moldova” project was implemented in a partnership cooperation between organizations and informal groups from Poland (KobieTY, How to (ex)change the world) and Moldova (People In Need Moldova, One World In Schools) with the support of Solidarity Fund PL, the Ministry of Education, Culture and Research of Moldova and the Ministry of Foreign Affairs of the Czech Republic. The project was co-financed by the Polish-American Freedom Foundation as part of the RITA – “Region in Transition” Program implemented by the Education for Democracy Foundation. 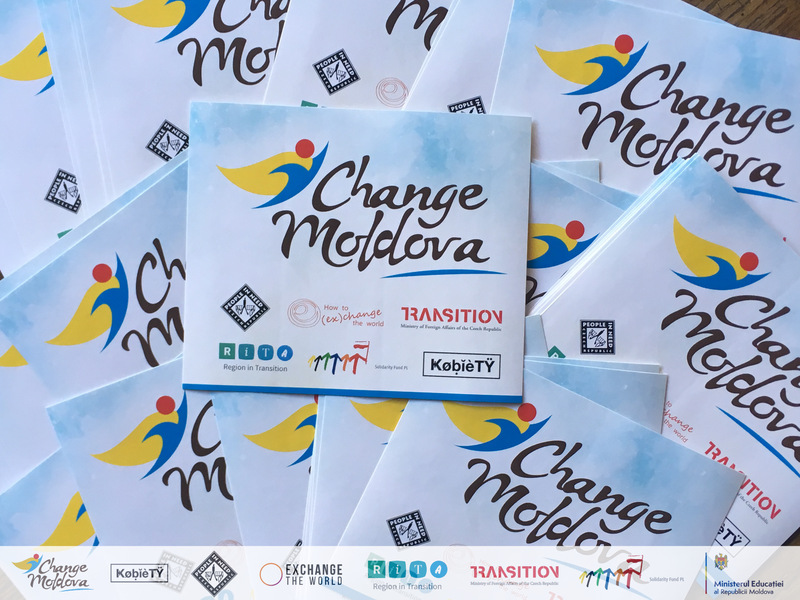 The aim of the project was to strengthen the competences of Moldovan youth leaders and inspire them to act for the benefit of local communities as well as to build a network of trainers conducting workshops with the elements of changemaking. The participants shared their experiences and presented the results of the activities during the national conference of modern education “Edu Go!”, which took place in Chisinau in December 2017. The product of the project is the portfolio of „Changemaker Course” scenarios.